Gas pipe running through the wall in the kitchen, and sometimes through the kitchen to the bathroom, and then the neighbors will agree, is not very aesthetic design element. So often there is a desire that pipe clean. Contact the Department of gas facilities at the place of residence, given the fact that the alleged work is explosive. Without the sanction of this organization you are not allowed to convert. Once in 3 years the gas is used to carry out pressure testing of gas networks, as whole house or individual while conducting the condition monitoring of gas equipment, with the drafting of the act. The cases of detection of unauthorized modifications of the installation of gas piping will result in penalties. In addition, you are responsible for the safety of your neighbors. A gas pipe cannot be hidden in the wall and sew up tightly decorative panels. This will lead to more complex repairs in case of any emergency. But it is possible to decorate a gas pipe elegant bars. You can mount a decorative grille made of plastic or laminated panels. To do this, mount the frame along the pipe of metal profiles UD from the gypsum system. Use the level to make the design came out even. Connect the two UD profile between them so that their grooves were pointing in different directions, thus obtaining a fragment of the corner. Connect the resulting fragment with guides that raspolojeniya the wall. To connect profiles to each other use metal screws. Attach on the frame along the contour starting plastic profile. Vieraita length of the panel, cut it with a hacksaw and install in the grooves of the starting profile. After completion of installation, drill the panel with a special cutter, having on each of the panels a few holes. When working with gas pipes or gas appliances be careful! 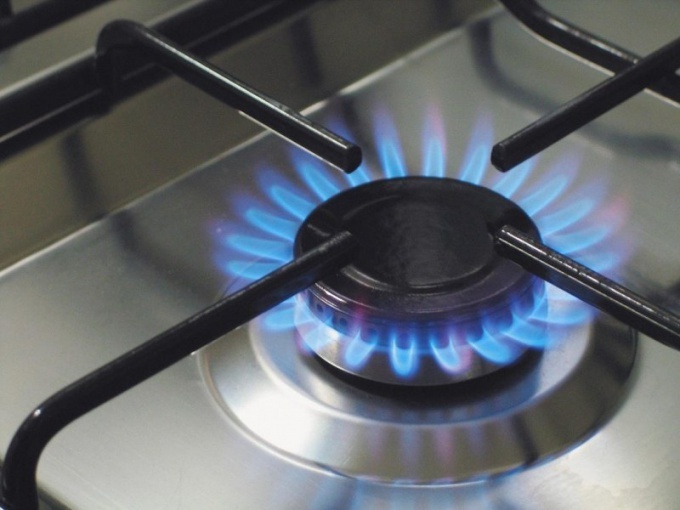 In any case, do not check gas leaks using an open flame. Only with the help of soap solution, applying it to the place of possible leakage. Do not make a decorative box out of drywall or wood. This box is for repair or emergency work will be difficult to dismantle. A lattice of plastic or laminated panels easy to remove and put.